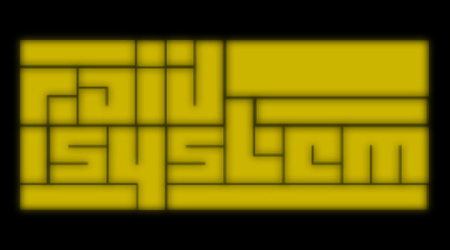 Closing the month of August is our ever dynamic Tokyo duo XLII and Broken Haze aka Raid System. Having just released Lewis James’ debut EP, Heavy Romance, and come off a busy summer of shows and remix work (XLII’s popped up on Ninja Tune among other places) the pair deliver the usual hour long selection of up front cuts and dancefloor numbers. Looking over the releases from the past few months the pair have selected music from LV, Baobinga, Om Unit, LDFD, Grenier, Cid Rim, Bobby Tank, Lewis James, Terror Danjah and quite a few cuts from the recent Secluiasis releases too. As always it’s a high energy affair brought to you in glorious Anglo-Japanese audio vision (actually no vision, just audio). Download and/or stream below or subscribe to the iTunes/RSS feeds and never miss a show. This entry was posted on Friday, August 24th, 2012 at 4:18 pm. It is filed under Podcasts, Presented by Raid System and tagged with Om Unit, Dorian Concept, XLII, Terror Danjah, LV, Aquadrop, Broken Haze, Baobinga, Guido, Bobby Tank, LDFD, Lewis James, Grenier, Cid Rim, Reilly Steel, Lil Scrappy, Hydraulix, Nasty Ways. You can follow any responses to this entry through the RSS 2.0 feed.